We’ve all experienced a huntsman creeping up on us here in Australia. I remember driving and one appearing on my windscreen ( on the inside ) …. All I know is that people in the other cars must of driven by and thought i was being possessed at the time the way i was thrashing about. Honestly i obviously had a higher chance of crashing my car than death by spider the way i was behaving, but i didn’t think that at the time. 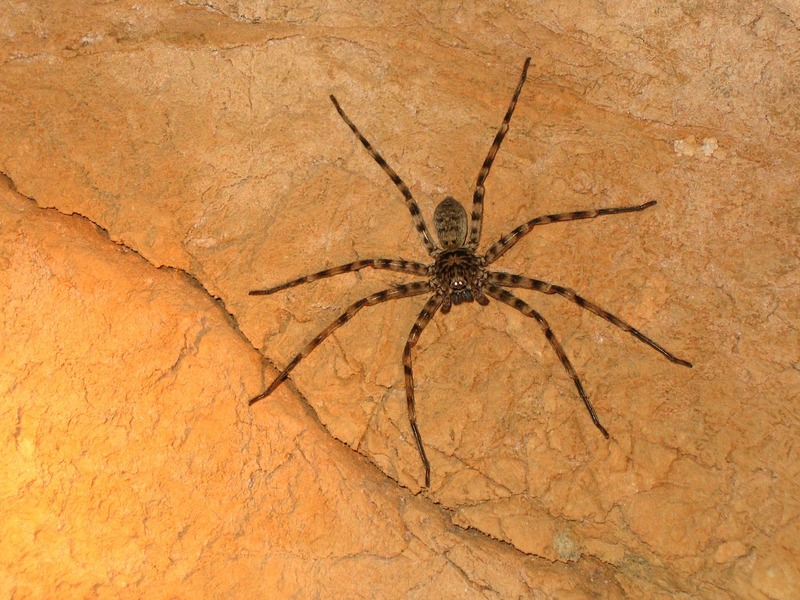 Huntsman spider are what you want in and around your house, as they live on killing and eating the spiders you don’t want in and around your house. The more the better. Gotta love the Huntsman spiders. They hurt no one, and I usually have one (that I know of) living in the house. Redbacks are another matter entirely, but on the odd occasion when I accidentally find one, they always try to get away quickly, because none of those creatures are exactly hanging out to catch or kill a human. All of them have their place in the environment. We need to leave them alone. (well, maybe not the termites). Huntsman spider are big, but harmless to ppl, i find them all the time in my backyard, and just let them be, because they eat all sorts of vermin including mice and other more dangerous spiders like widows and recluses, which Huntsman spiders are very territorial. They cause more deaths through accidents than them actually biting people. They have a habit of lurking behind sun visors in cars and it’s when they drop out into drivers laps or scuttle across the screen they cause danger. Some people find ultrasonic pest repellents work. Next Next post: Mice Injected With Human Brain Cells?